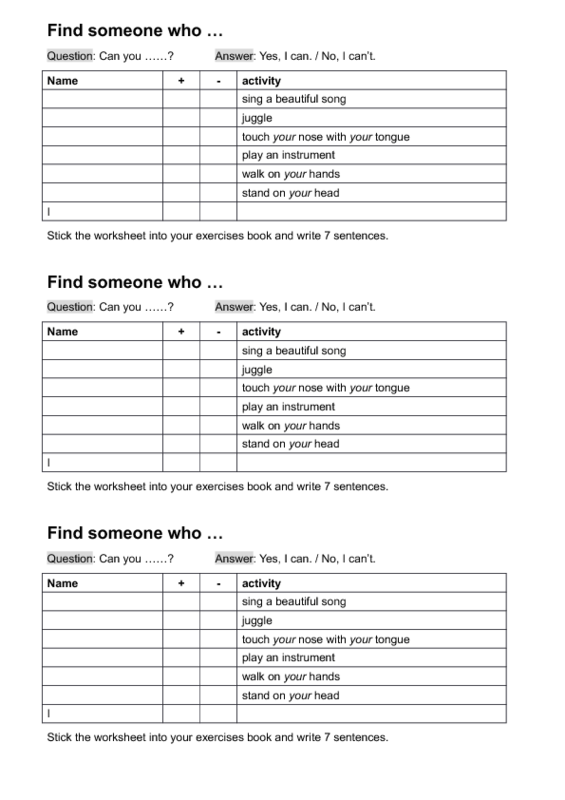 This worksheet is a quick exercise where children move around in class in order to find someone who can or can't do specific activities which are listed in the worksheet. They ask: Peter, can you wiggle your ears? Peter answers: No, I can't. They write down Peter, and a cross in that column. 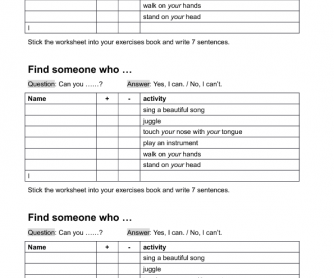 After having filled all the gaps children can write down sentences. E.g. Peter can't wiggle his ears.